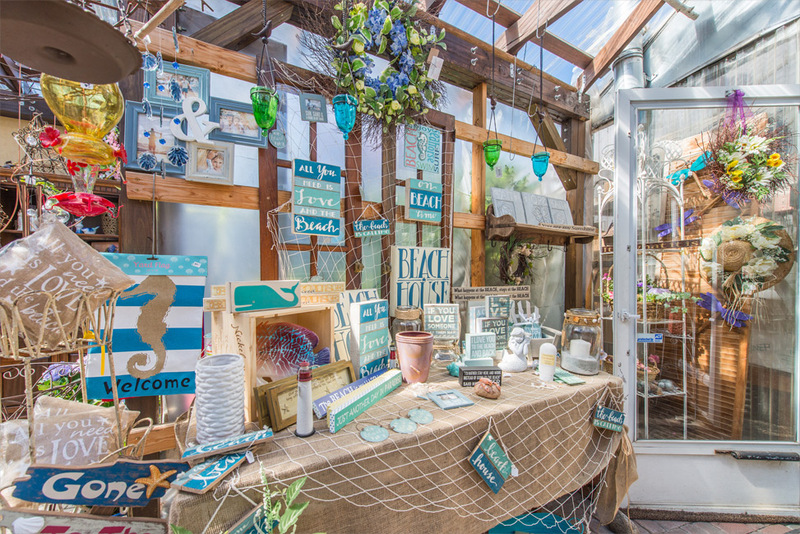 Earth, Wind and Flowers is more than just a florist or gift shop. It is a place for people to enjoy the moment and experience joy. When you enter our store, we want you to stop and take a breath knowing that while here, you will experience nature, craftsmanship and positive living. No matter who you are buying for, our staff will assist you in finding the perfect gift to bring a smile to their face. When you work with us, we are not just store employees, we are helping hands, reaching out to celebrate a positive way of life. Our gifts and flowers are high-quality and made with the utmost care, but at the end of the day, our goal is to bring great joy to everyone who comes into our store. Roses, daisies, mums and lilies are always on hand, though it’s our other flower offerings that truly set us apart. 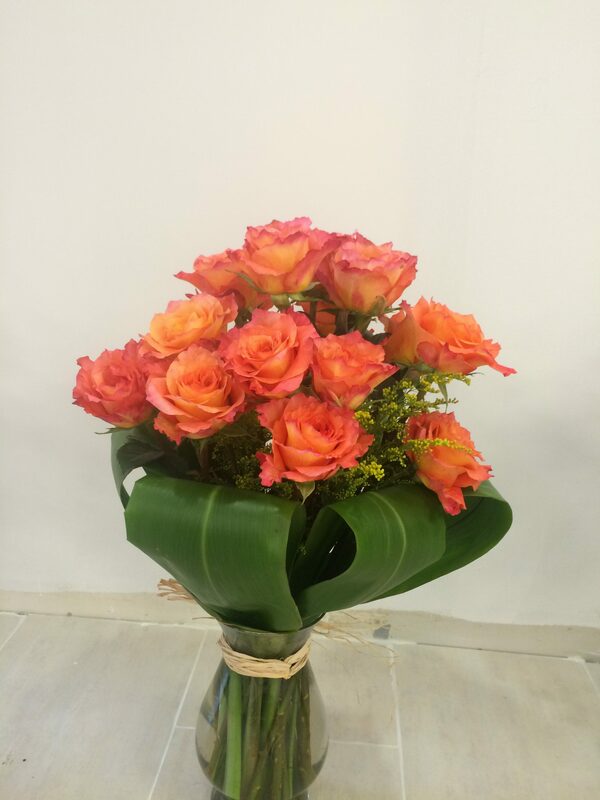 If your perfect creation has specific floral or design needs, you can be sure that we can create an arrangement that exceeds your expectations. Our inventory of flowers changes weekly and is dependent upon the season. You can trust that each time you visit our shop, there will be something new and different for you to experience. We will gladly deliver those everyday day pick me up flowers, special occasion arrangement and party centerpieces & décor. We have balloons too! Floral arrangements are perfect for an everyday pick-me-up or for any special occasion! Each arrangement accentuates natural elements to create a one-of-a-kind design. 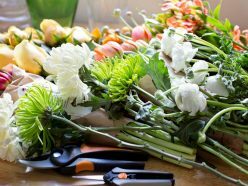 Our fresh cut flowers are perfect for bouquets or gift baskets for every event, including birthdays, anniversaries, congratulations, parties, christenings, communions, graduations, bridal and baby showers, and weddings. Our gifts are a collection of handmade, exceptional crafts from local artisans. Each piece creates an uplifting feeling for whoever is blessed to bring it home. Our selection ranges from candles to jams and jellies to wooden signs with uplifting quotes. If you can’t find the perfect gift when you visit, you can always add it to our clipboard wish list and we will try our best to find it or find an artisan to create it just for you. Each season, we visit residential homes to update potted plants and yards with personalized floral arrangements. 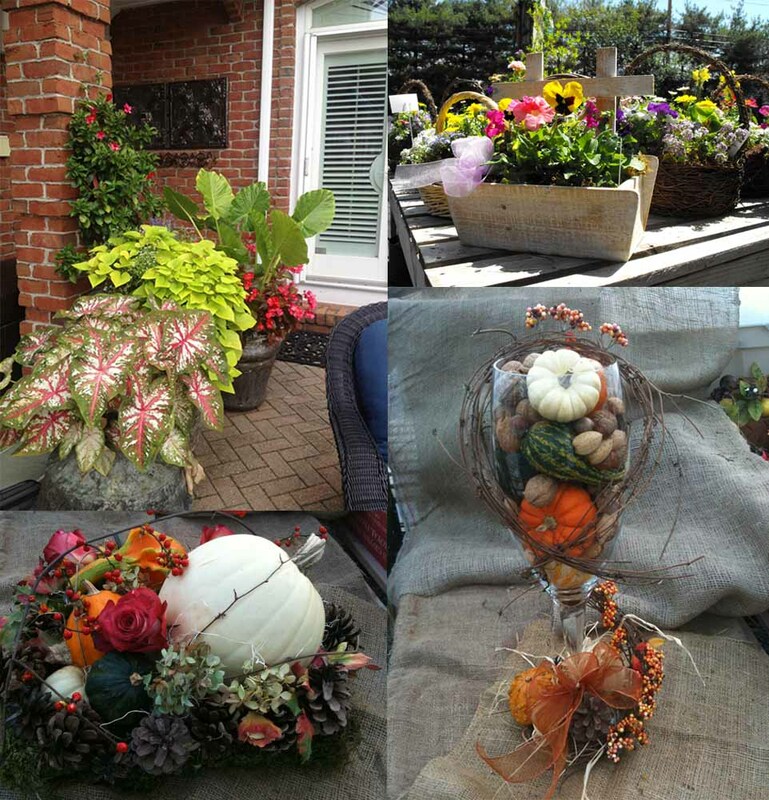 We love to keep our customers’ houses fresh by creating seasonal arrangements and pruning perennials. After your first gardening experience, you will see how creating a positive, natural atmosphere will make you smile every time you come home. Whether you are looking for seasonal planting or perennial gardening, we will create a beautiful display of natural elements. We will visit your home – no matter how large or small your yard – and work with you on planning the garden of your dreams. Our favorite approach is to design a flowerscape that is so natural, no one will ever know we were there. Starting in the spring, we will grace your home with potted plants to spruce up your front step or window boxes. Throughout the year, we will continue to update flowers to make sure that each arrangement is fit for the season. No matter the day, you’ll always come home to cheerfully planted pots that will be sure to brighten your day and bring a smile to every visitor’s face. As the weather cools down and the leaves begin to turn, we create fall and winter plantings and displays that will make your house feel like home it is for the holidays. We want to help you celebrate another fantastic year! With our specialty in bringing joy to every occasion, our freshly-created floral arrangements are perfect for centerpieces and décor at birthday parties, sweet sixteens, bar mitzvahs, bat mitzvahs and more! We will work with you to make sure the arrangements are their favorite color and feature elements that let them know it was specially made for them. Whether they are turning 13 or 100, they will love and appreciate the personalized arrangements at their special party. Fresh-cut flowers are perfect for celebrating new beginnings! Each new chapter of your life should be something to remember. We love creating floral arrangements to celebrate a soon-to-be bride or soon-to-be mom! A bridal shower and baby shower should be graced with floral arrangements personalized for this new beginning. All of our fresh-cut flowers are made to match each party’s décor to bring smiles to all of your friends and family. We know that there is no place like home for the holidays. So, we want to bring the holiday spirit to your home by fulfilling all your decorating needs – inside and outside. For each holiday, we create a dream décor that fits your style. Not only will we design and craft personalized centerpieces and decorations for your next celebration, we also include your own decorations for a personal touch. Every display will be delivered, set up and put away at your convenience. Holidays are a time to celebrate! Take part in the holiday spirit from the beginning of the year to the end. From Easter eggs, to pumpkins, to mistletoe, decorate your home and office with holiday spirit. Or bring holiday spirit to friends and coworkers with a perfect seasonal gift. Helping a bride and groom turn their wedding day vision into reality is one of the most joyous aspects of what we do. We love to create unique centerpieces, bouquets, boutonnieres and corsages. 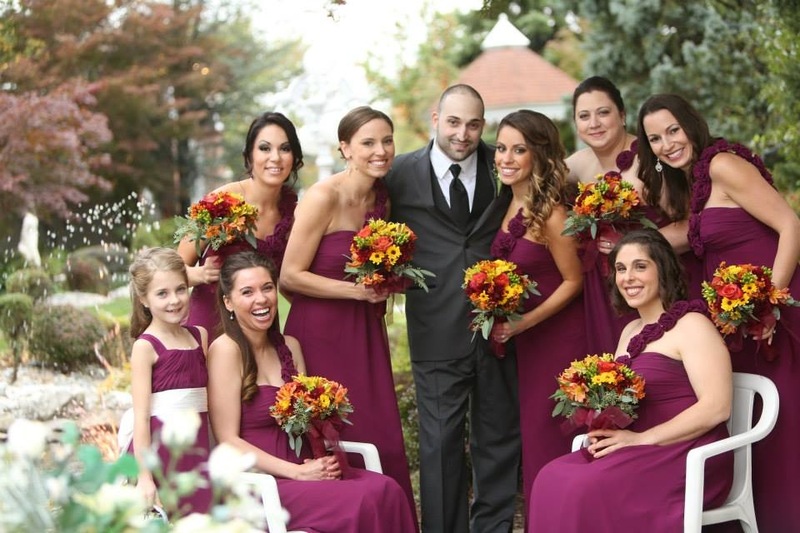 Planning a wedding can be overwhelming, but we promise to bring nothing but smiles as your floral arrangements fit perfectly to your wedding style. For weddings, we take great pride in our arrangements, especially in seeing the joy they bring to wedding guests on this joyous day. Thanks to our working relationship with Peonies to Paintchips, we can now provide props and décor on your special day that accentuate everything you love. As you celebrate marriage, we will unify your wedding décor from the venue to the bouquet. Anyone interested in having us take part in your special wedding day should call us at 973-428-5008 to make an appointment to meet with our team for a consultation. Losing a loved one is hard and at Earth, Wind and Flowers, we want to help you remember your loved one and celebrate their life. 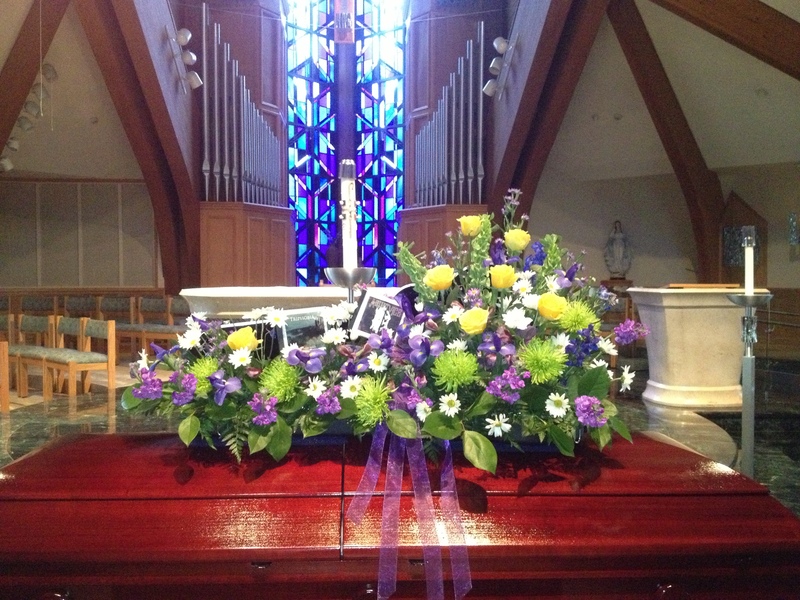 Each funeral arrangement is personally designed with suggestions from you. We ask that you provide us with colors, keepsakes, flowers or symbols that you feel truly express your loved one so we can create a custom-made arrangement. When you see our floral arrangement, it will bring a glimmer of hope and memories as it serves as a tribute to their life.